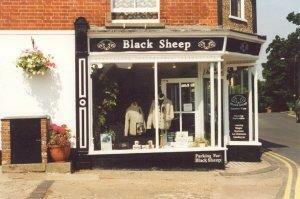 There have been great changes to the Black Sheep Shop over the last two years. To compliment our distinctive English knitwear and accessories we now have a wide range of clothing not widely available elsewhere: Weird Fish, Land Rover Gear, Royal Scot, Alfresco Hampers, to name but a few. Join our flock and discover something different! Leaving Aylsham on Blickling Road.